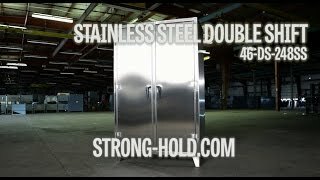 STRONG HOLD PRODUCTS is the leading manufacturer of industrial strength storage and workspace solutions. 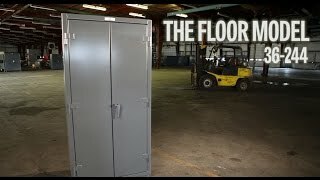 Constructed of heavy duty, durable 12 GA steel, Strong Hold Products withstand the toughest environments while keeping your valuables organized and protected. 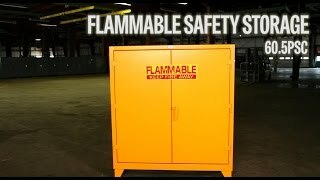 Founded in 1993 and long before 5S and lean manufacturing were popular trends in manufacturing Strong Hold has been making top grade industrial storage products. 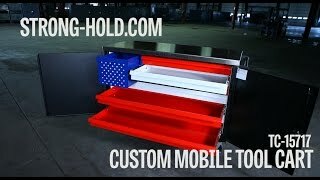 With a wide variety of accessories and options, Strong Hold will customize a solution that is right for you. 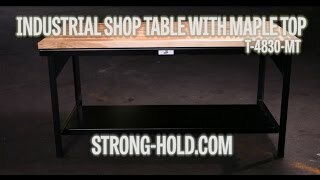 Strong Hold Products manufacturers heavy duty storage cabinets, stainless steel tables and cabinets, shop tables, workbenches, workstations, computer cabinets, janitorial products, safety cabinets, shop desks, tool carts, and outdoor storage solutions. 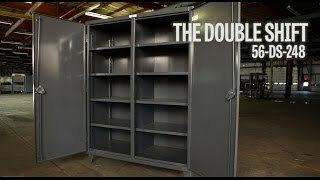 All of our products are proudly made in Louisville, K.Y. U.S.A.